Teachers always say there is no such thing as a silly question; chances are if you want to know, other people probably do too. Here in Loudoun, we feel the same way. We searched through social media and other sites to track what people really want to know about Loudoun and found eight of the most frequently asked questions about LoCo. Where in Loudoun can I have my wedding or rehearsal? ease the stresses of planning and ensure your special day is everything you dreamed of. Are there hotels in Loudoun with free shuttle services? 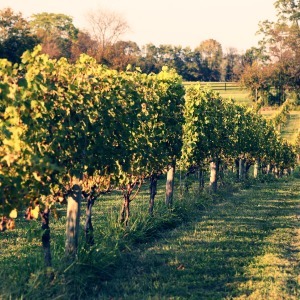 Since Loudoun is only 25 miles from DC, many choose to escape the busy city for the night and stay in DC’s Wine Country. Many of our hotels offer shuttle services to the airport and attractions such as Courtyard by Marriott at Dulles Town Center, Hampton Inn & Suites Washington Dulles Airport and more. Our accommodations are all listed on our Stay page for you to peruse and find the perfect overnight stay. Where can I go hiking or find other adventures in Loudoun? With the Blue Ridge Mountains as your guide, there is no better place for hiking and adventure than Loudoun. The Blue Ridge Center for Environmental Stewardship offers hiking trails, educational displays, bird walks, wildflower trails, camping and more! If hiking isn’t for you, there are tons of other things to do that will get your adrenaline pumping like cycling at Washington & Old Dominion Railroad Regional Park, zip-lining at Harper’s Ferry Adventure Center and Empower Ziplines or shooting paintball at Pev’s Paintball Park! What are some good B&Bs to stay in for a relaxing weekend? Fancy hotels can be nice, but it’s also fun to stay in a quaint bed and breakfast instead. With the more intimate and personal touches, it can be the most relaxing and romantic experience. Middleburg Country Inn, Briar Patch Bed & Breakfast and Stone Manor Bed & Breakfast are only a few examples of the many places to retreat for a weekend. Many offer elegant dining options, beautiful rooms and other amenities like an onsite spa at Goodstone Inn & Restaurant or horseback riding for guests at Serene Manor. Visit our accommodations page for information on all of the great B&Bs. What can I do with only one night in Leesburg? 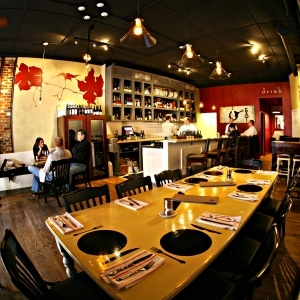 The Wine Kitchen is the perfect place to combine culinary adventures and delicious vino. There are so many options to partake in that it’s hard to fit them all in one night! Shop for brand name deals at Leesburg Corner Premium Outlet mall or find unique gifts in Downtown Leesburg shops and then have dinner at Tuscarora Mill Restaurant, The Wine Kitchen or Fireworks Wood Fired Pizza. For beer and wine lovers, sample a flight at Crooked Run Brewery or visit Stone Tower Winery, Dry Mill Vineyards or Willowcroft Farm Vineyards. Make your way to Tally Ho Theatre for musical performances or shows. Finish the day, with a good night’s sleep at Comfort Suites Leesburg or Lansdowne Resort. Are there educational and fun activities I can do with my whole family? LoCo has great educational and fun activities for the whole family. If it’s science and education you are looking for, visit the Smithsonian’s National Air & Space Museum at Dulles, which features artifacts and memorabilia from the history of aviation as well as flight simulators and interactive activities in the observation tower and IMAX theater. For the history buffs, take a tour of Morven Park or Ball’s Bluff Battlefield to learn Loudoun’s role during the Civil War. Animal lovers can find furry friends to visit at Leesburg Animal Park, Great Country Farms or Temple Hall Farm Regional Park if the weather is nice. Which wineries allow big parties for tastings? Spend your birthday or a fun weekend with some friends at Sunset Hills Vineyard. Many of our 40+ wineries are available and open to large groups. Book your bachelorette soiree, birthday party or get together with friends at Sunset Hills Vineyard, Doukenie Winery, Tarara Winery, Chrysalis, Casanel Vineyards or many more. Check out our winery page to see who can host your next party! Call ahead to verify which ones are the best fit for your group. How can I find out what’s going on in Loudoun? There is always something going on in LoCo and you should never have to miss out on anything. Check our calendar to see what’s going on or follow us on Facebook and Twitter to get updates as well! If you want more information about Loudoun, you can also follow us on Instagram and Pinterest! If you have other questions, please don’t hesitate to ask us on Facebook, Twitter, or in the comments below and we will make sure to answer them for you! 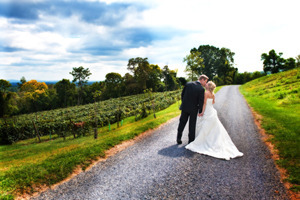 We know the one question you all have on your mind - Is Loudoun the best place to visit? The answer, of course, is YES!